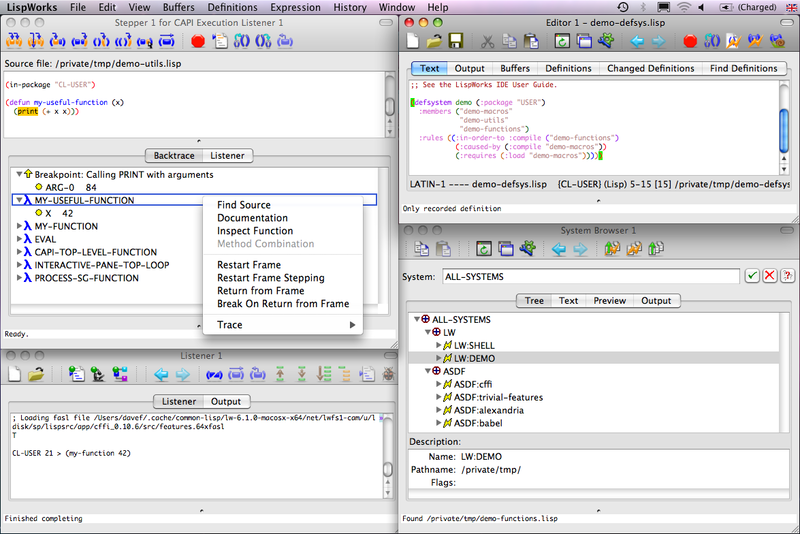 LispWorks is source code compatible across all supported platforms. 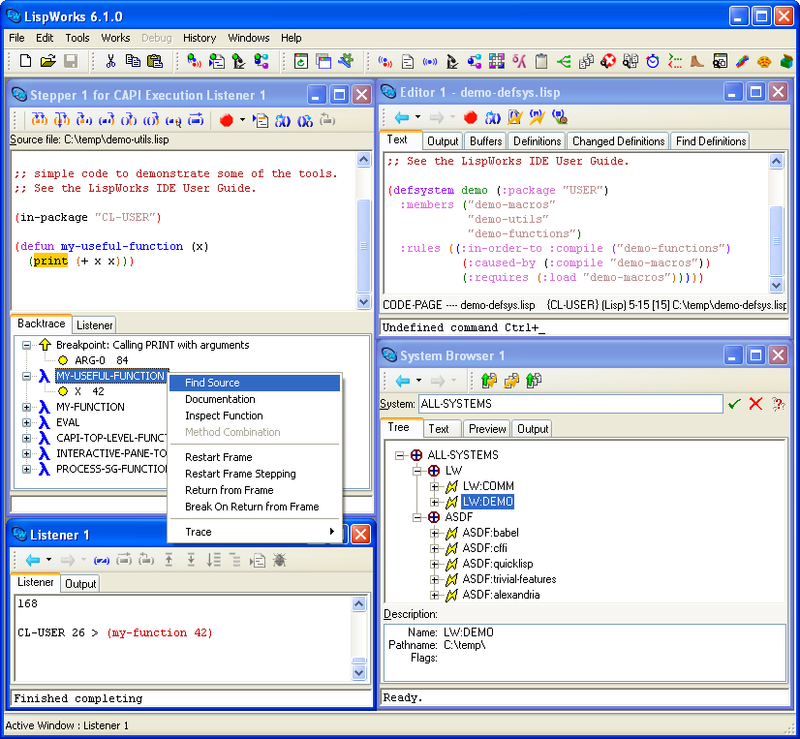 LispWorks offers many features including an advanced Common Lisp compiler, interpreter, runtime system, language extensions and the LispWorks IDE. Hi there! 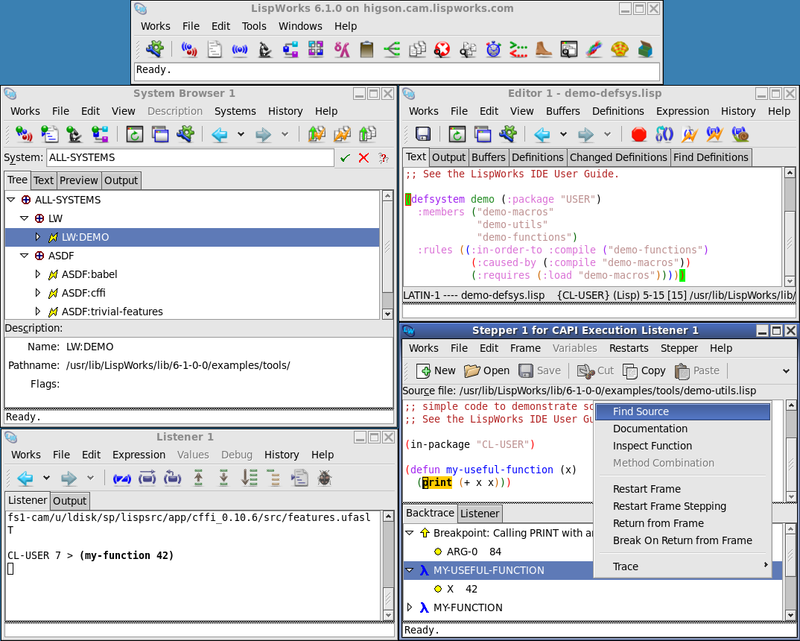 Are you looking to implement a solution like LispWorks?